California game warden jobs are currently highly competitive for individuals who are attempting to enter the field at either the state with the California Department of Fish and Wildlife or the federal level with the U.S. Fish and Wildlife Service. As only the most highly skilled and passionate individuals will be considered for employment, it's important to have the necessary interests and skillsets to commit to a long term career. Typically, job responsibilities will include patrolling for anybody that may be violating laws in place to protect fish and wildlife populations, as well as for the safety of hunters and visitors. Duties outside of law enforcement might include assessing and remediating damage or issues, and collecting wildlife census data. In order to be fully effective in the role, game wardens typically come to the job after years of enjoy fishing and hunting on their own and are passionate about conservation issues. In terms of jurisdiction, most wardens have a county or large area of the state that they are responsible for, which can make the position quite physically and mentally demanding. Due to the scarcity of positions, many candidates wait in hiring pools throughout multiple agencies until a position becomes available, meaning that it is important for candidates to understand and exceed the minimum employer mandated qualifications and requirements of the role. Men and women who have a strong sense of ethics and who enjoy outdoor sports are strong candidates for a career as a California Wildlife Officer. Even though jobs are competitive, in this highly populated, carefully protected and radically diverse state, there are many opportunities for game wardens to have a successful and satisfying career. Wardens are foremost committed to enforcing fish and game regulations but they may be called upon to enforce any California state law, since they do have statewide jurisdiction. Wildlife Officers provide the public with hunting and fishing information and protect California's resources from poachers. They also promote and coordinate hunter education and firearm and boating safety, collect and report on data from fish and wildlife and their habitats, as well as speak to advocacy groups on safety, regulations and conservation issues. Listed below are the department’s minimum qualifications needed to apply to become a California Wildlife Officer. Additional information as well as job postings are available through the California Department of Fish and Wildlife website. License: A valid California-issued driver’s license is required. Individuals must agree to participate in driver safety training through the state as they arise. 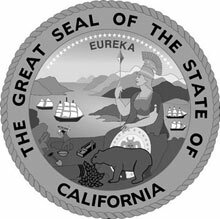 Academic Credentials: High school diploma or its equivalent, or California High School Proficiency Examination; equivalent to completion of two years of college with 18 semester units in the biological sciences, police science or law enforcement, natural resources conservation, ecology or related fields. Students with equivalent credentials may submit them to the agency for review. Related college courses are defined broadly as any that major in animal sciences, hard sciences excluding math, criminal sciences, and psychology. Medical Condition: The applicant must be examined by a licensed medical doctor who will attest to the candidate’s suitability for the role of wildlife officer prior to employment. Vision: Vision corrected to 20/20 in each eye. Normal color vision with no other conditions is required for the role. Candidates who have undergone corrective eye surgery to meet minimum visual standards may be required to submit additional information. Physical Readiness: The candidate must be physically healthy and able to perform to the states minimum time/set standards for exertion on the job. Experience in collecting and preserving evidence, writing reports, and testifying in court. The California Employment Development reported that the median salary among game wardens was $74,329 ($36.73 hourly) as of 2016, while those in the top 10% earned an average of $93,765 ($45.08 hourly) that year. All game wardens receive an additional $175 monthly recruitment and retention stipend. Game wardens who have earned an associate’s degree or Intermediate POST certification are paid an extra $50 a month, while those with a bachelor’s degree or Advanced POST certification can earn an additional $100 a month.